Ms. British A. Robinson is the President and Chief Executive Officer of the Barbara Bush Foundation for Family Literacy. She is a visionary leader with over 20 years of experience, leading initiatives in international and domestic health, corporate social responsibility, public-private partnerships, government relations, and advocacy and policy development. Much of her personal and professional experience has focused on improving the health, well-being and livelihood of women across the United States and around the world. She brings experience from the U.S. Jesuit Conference, the U.S. Department of State, the U.S. President’s Emergency Plan for AIDS Relief (PEPFAR), Susan G. Komen and Women for Women International to her role at the Barbara Bush Foundation for Family Literacy. 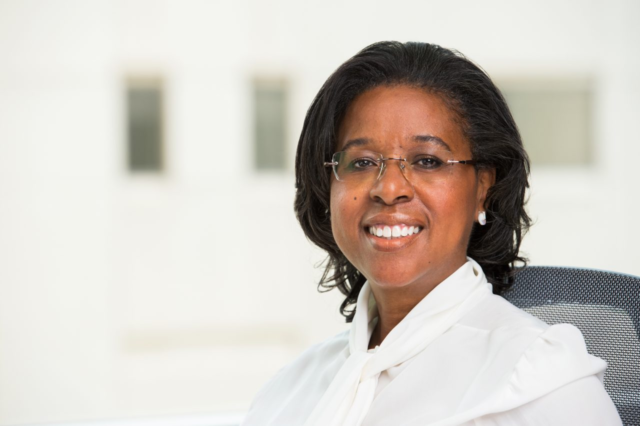 She also serves on the Mercy Health Clinic Board, a free, community-based primary health care provider serving uninsured, low-income adults in Montgomery County, Maryland. Previously, Ms. Robinson served as the Chief Executive Officer for the Women’s Heart Alliance. She has an incredible passion for women’s issues and is a tireless advocate for the underserved.